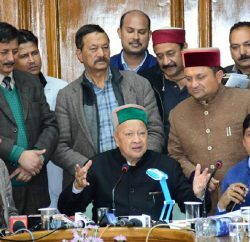 The Himachal Pradesh CPM has termed the budget being presented today by the chief minister as totally in tune with the neo liberal guidelines and it seems the Congress party has not learnt anything from the developments that took place in Delhi. 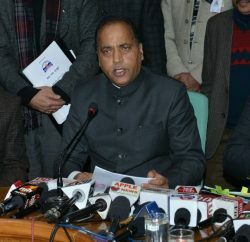 CPM leader Tikender Singh Panwar, in his press communiqué, stated that the budgetary proposals demonstrate the eagerness of the government to follow the reforms process under the aegis of the central government which is bent to pass on the buck on to the common people. In a way it is a case of giving less from one hand and simultaneously snatching more from the other hand. This budget is to be seen in light of the Fiscal responsibility budgetary management act that asks the government to reduce both its fiscal and revenue deficits. What the Govt very deviously is doing is that it is implementing the central government schemes in the state for which it is trying to take credit and also is implementing its agenda, Panwar stated. The other highlight of the budget is the incapacity of the government to carry out much required developmental activities. Of the total, non plan expenditure comprises a whopping 74.58%. Accordingly Rs 7647 crores on salaries, Rs 3496 on pensions, estimated interest would comprise of Rs 2750 crores, and loan repayments are expected to be Rs 1511 crores apart form Rs 367 crores on other loans and Rs 1840 crores on maintenance. The little over 25% is left for developmental activities. Now these activities are planned through central grant in aid or such other projects which are entering the state through riders. It is this model that the Congress government is developing learning no lessons either from its predecessors or from its debacle in Delhi. The CPM has stated the most shocking feature of the budgetary proposals happens to be the complete curtailing of social services and virtually being shelved and being handed over to the private sector. In 5 important departments meant to carry out services the plan is to outsource it and bring in private players under the garb of PPP which actually happens to be public purchase for private profiteering. These include Public works, IPH, Health, Urban development, Tourism and Transport. The party has further stated the little benefits that are passed on to the people are not commensurate to the present inflationary trends in the economy. 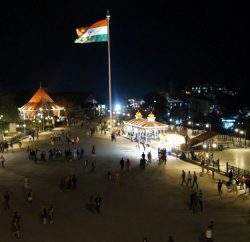 A meager rise in daily wage, family pensions, widow pensions and Anganwari remunerations would just prove cosmetic changes. The CPM while commenting on the macro level scenario in the budget has stated the budget needs to be read along with the economic survey released yesterday. The survey brings in a bleak picture of the economy and especially the primary sector i.e. agriculture. The importance for mitigating the problems does not find any mention, inverse, the doors are being opened to big players as if they will bring in rise and increase in growth. A case in example is the handing over of prime land to private players at free of cost for the opening of CA stores in the apple belt. The other point that needs to be addressed is to increase the volume of the budgetary revenue. In that case the issue of getting a share from hydro projects is hardly mentioned; similarly, the issue of equity and levying of distress cost in hydro projects is not even mentioned. Thought the state takes pride in calling itself a power state but the state electricity board has to purchase electricity from the neighbours during the peak load in winters. In all, the party has termed this budget as a pro reform budget with more hardships on the common people that need to be strongly resisted and fought.